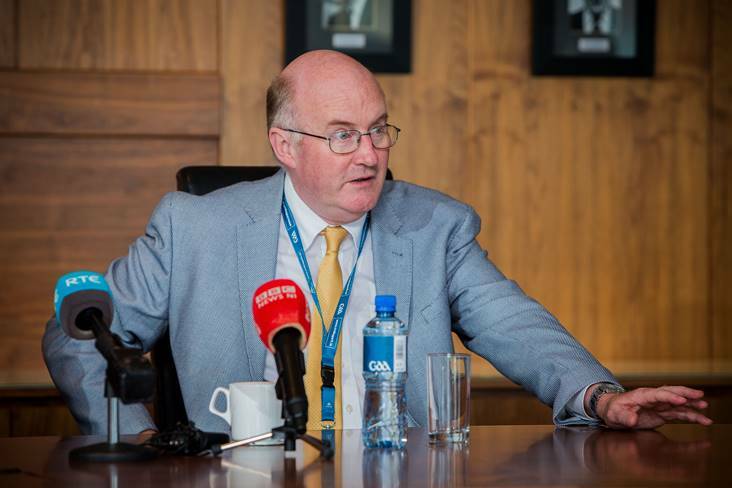 GAA President John Horan has defended the fact that Dublin will have two Croke Park games in the Super 8s. The Na Fianna clubman was quizzed on the contentious issue of debate at yesterday's launch of the GAA championships on the Aran Islands and he outlined to The Irish Independent: "Dublin have been playing in Croke Park for a long number of years now and all of a sudden one issue over the Super 8s has kicked all of this of. "They have been very successful in that period of time too and All-Ireland semi-final and finals are always played in Croke Park, as are National League finals. "So the stats (74 per cent of all Dublin games in league and championship since 2011 have been played in Croke Park) are a little bit skewed. "To quote one of Dublin's least greatest fans, Colm O'Rourke, the playing of Dublin matches in Croke Park benefit an awful lot of other counties in Leinster from the funding that's raised and the benefits they get from infrastructure grants and coaching. That's just one angle from a person who is not the biggest fan of Dublin." Meanwhile, in response to complaints from supporters about a lack of information on Round 2 and Round 3 fixtures, Horan revealed: "They are looking at that. "I think that will be addressed in the next 48 hours and all of those fixtures will be laid out to you. I think they've been faced with a big challenge this year."